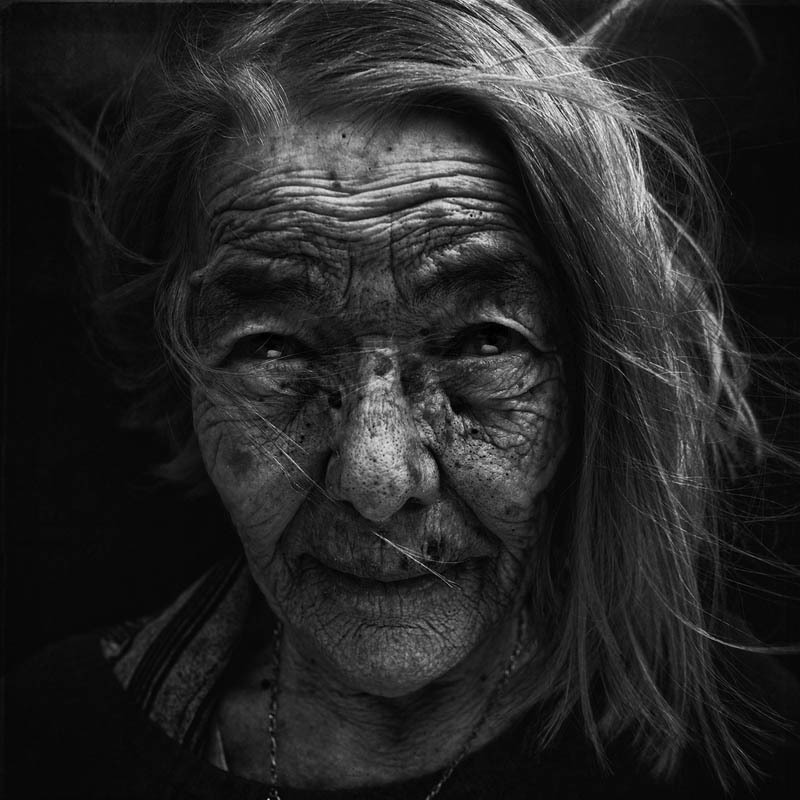 Self-taught photographer Lee Jeffries travels all over the world – from Los Angeles’ infamous Skid Row to the streets of London and Rome – to photograph homeless people and listen to their stories. His widely acclaimed Homeless project was the result of an encounter with a homeless girl in London in 2008: she yelled at him for taking a photo of her, and after apologizing and listening to her life story, Jeffries realized that the camera can only be used after mutual respect is developed. 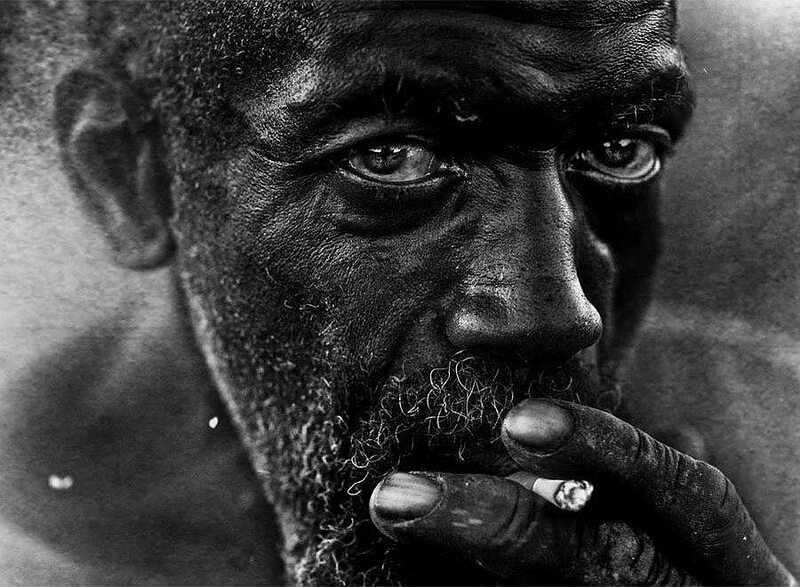 This emotional perspective on and human approach to photography resulted in a continuing series of portraits of the homeless – unflinchingly frontal close-ups with tight compositions that emphasize the face. Empty, blurred backgrounds not only contrast beautifully with the enhanced facial characteristics but also create an intimacy with the subjects. Jeffries processes his photos in black and white and enhances lights and darks using editing software, producing an almost spiritual radiance. It is easy to get lost in details such as weathered skin, scraggly beards, or healing scars. What stands out most, however, is the gaze of the subjects. Some have soft, kind eyes while some look sad and wistful, and still others seem distrustful or scared. The man in this piece, holding a cigarette between two wrinkled fingers, seems simultaneously calm and accusing. He gazes straight into the viewer’s eyes, and the viewer cannot help but stare back. Maybe in this moment, looking into each others’ souls, we share our most intimate stories. Jeffries uncovers stories of survival in his subjects. Their faces tell of pain, tragedy, and life’s unfairness, but also of beauty, strength and survival. I think that Jeffries’ goal is to make us see that we too possess these raw, human contradictions – that we are not so different when you look past the superficial. He says, “Everyone else walks by like the homeless are invisible. I’m stepping through the fear… these people are just like me and you.” Looking beyond labels such as ‘prostitute,’ ‘addict,’ or ‘tramp,’ Jeffries found mothers, veterans, and friends who continue to help those around them even when they have nothing. 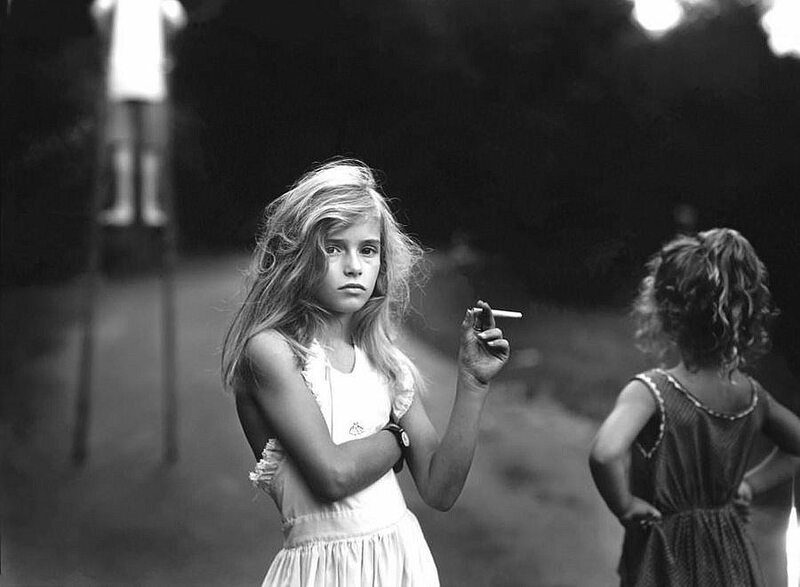 Jeffries published many of these photographs in a book called Lost Angels, whose title makes evident his compassion and respect for these people who he believes were dealt an unfair hand by life. What do you think about Jefferies photographs? He gazes straight into the viewer’s eyes, and the viewer cannot help but stare back. Maybe in this moment, looking into each others’ souls, we share our most intimate stories. The black and white color composition really emphasizes the textures of the subjects.